Address: 2589 N. Wyman Rd. Looking for any info or pictures of cars my dad raced in the 70's and early 80's. Black 69 Camaro 350 4 speed had Little Leery on the doors. Maroon 69 Camaro 331 4 speed. His name is Ed Carpenter also. Thanks. Looking for any photos or information regarding My Father's Cars. Tom Dunlap Is His name. Last Car He drove was a 1992 Chevy Beretta FC. Car was the Michigan Gambler. Any Help with Photos or Articles would be Very Helpful!! Thanks So Much!!. 12/2/2012 - Kirk Garvelink My brother and I remember a 64 Belvedere named the Legal Beagal that ran at Central Michigan Dragway. We were just wondering if anyone knows what happened to the car. I believe the owner's were the Furgeson brothers from Lansing, Michigan. In Answer to your ? Don Solomon Is the owner, From The Flint Area. It Is Painted Red & White now. He Has Multiable Factory HEMI CARS In His Collection. Raced with Bob Dance, Ed Swartout, Bud Barnes, Tom Carpenter. My Car was a 1958 Impala, Serria Gold. C-Gas and raced from 1959 t0 1963 101 mph in the low 14s. High light of my Life. Lee Kelley. 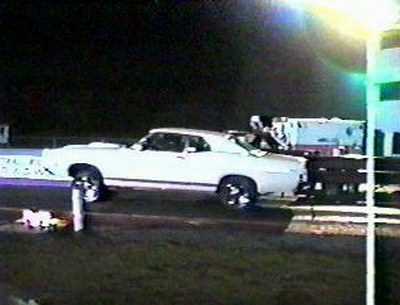 My brother and I remember a 64 Belvedere named the Legal Beagal that ran at Central Michigan Dragway. We were just wondering if anyone knows what happened to the car. I believe the owner's were the Furgeson brothers from Lansing, Michigan. thank you for looking,i am looking any pictures of a drag car the shamrock hemi 1964. my house burnt,and lost all my pictures of the the drag cars. please call 989-560-1906 thanks. MMM had turned out to be a real nice dragstrip. I raced there in the 60's when it was Central Michigan Dragway or as we use to say let's head for McBride. Back then the track wasn't as long. I had a '66 Malibu that turned 14. 5 at 101 and would take up the whole track to get stopped. One time there was a rail running and he went into the woods, which was at the end of the track back then. 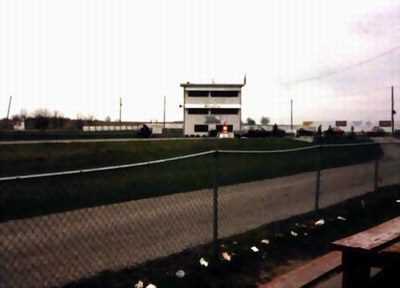 Back then the pits were on the north side of the track and were just sand and grass. We use to have a saying that you spent ten dollars to race to gert a five dollar trophy. I raced there quite a bit in '68 and was never beaten in my class but I never won Top Stock Eliminator. I did win that once in '69 with my '69 Malibu. Had alot of fun at that track and after the race we would head to Crystal Lake and check out the bikini's on the beach!! Oh to be young again. John Foss-I was there that day and remember watching the really nice flame paint on the front of that black Chevy coupe disappear. It was actually being sandblasted as the Arfons jet blew the sand off the track on the cars behind him. Thanks for the memory. 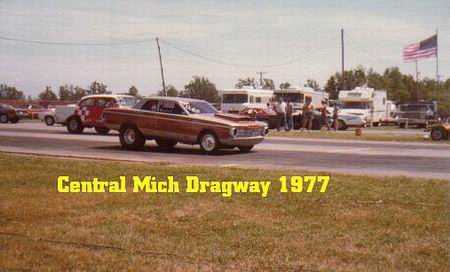 I went to Ferris and we would stop at the dragway on our way back to the campus from Grand Ledge. Another memory is that I found out the other day that the National Speed Sport Roadster that ran there is alive and well in some museum in Arizona(?). We used to race at the Stanton track back in the early sixties,back when Bob George owned it. I remember one day when Art Arfrons had his jet dragster doing exhibition runs and they warned everyone to stay clear in the staging lanes. Well one guy who had a 55 Chevy wanted to get a better view and when Afrons took off it fried the front end of the Chevy. 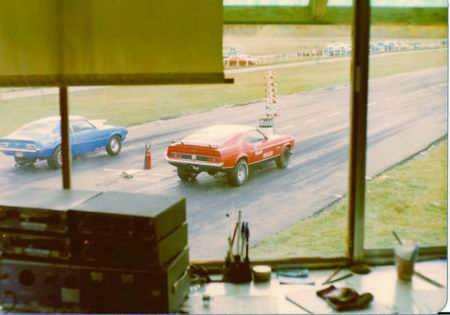 I'm sure that the track has changed since then but back then it was pure drag racing history. Hi,My name is Cindy Schroeder. My request is to any drag professional, announcer, etc. I''m writing a true crime book that has nothing to do with drag racing, well almost nothing. In the mid-seventies there was a drag strip in Kansas City, Kansas or Kansas City Missouri. The drag strip had three owners. One owner was Bob Harmon with Harmon Industries out of Missouri. The murderer in my story tried to swindle the owners in an effort to gain the drag strip. Does anyone know the name, at that time, of the drag strip and it''s location?Was Bob Harmon ever part owner of the Kansas City International Raceway, maybe the raceway had a different name back in the seventies?Thanks to anyone out there that can help me. Cindy Schroeder. i would like to know if anyone knows who the track photographer was in 1979 and 1980 i have a 1967 fairlaine with a mural of a mountain on the side it was blue looking for pictures of this. doug humes was the driver thanks alot. greg. 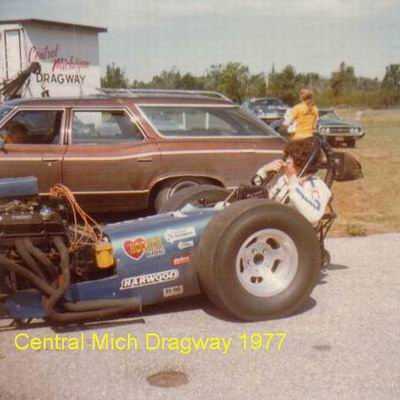 Steve Fraley, I just saw your pictures and postings of you racing at Central Michigan Dragway in the 70''s and was wondering if you were at the track much in the early 70''s, say 72, 73, 74, etc? The reason I ask is I am looking for my dads old drag car that he sold in 1972/73. It was a 55 chevy he ran in D/Gas. I have a few pics, old polaroids, that I could show you to see if you maybe seeen it there? 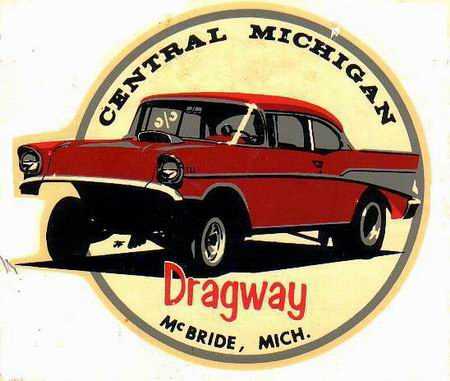 I guess if anyone reads this post and was going to Central Michigan Dragway during the early/mid 70''s please feel free to respond to my email address. I will send you the pics of my dads car as well in hopes someone may recognise it and who knows. My email address is w_o_t_speedshop@yahoo. com Thanks in advance for any and all replies. Rod, you was way to low on your figures,last week i hauled up to the track ,spent over $200 for gas to make it there and back. i''m all done for the year. I just can''t afford to waste my money like that. sorry. Man i don''t know how any of the strips are going to make it, if most people are like me. no work no money. i have had to sell my race car and only got 1/3 of the money for it that i had in it,and nothing for my labor,man it is getting bad for the racer and tracks. It sure looks like it will be another bad year for the dragstrips,like last year low car counts and small payouts. i guess it can''t be helped with talk that gas could be over $4 a gal. this summer no one can afford to race. when it cost me over $100 for gas to get to the track and back home. things are getting bad. Just would like to thanks all the people at Mid-Michigan Motorplex for theGreat event last week end 9-16-07. The RENT THE TRACK TEST AND TUNEevent was best time, not to mention winning my class and going to the final 4 was a real trip. The last time I raced at Mid-Michigan was about12 years ago , I hope the next time is sooner. This is a great track and greatpeople, Thanks again, Duane S.
I raced at CMD twice in 1960. H/SA (56 Pontiac)A favorite story: One of my friends had a 50 chevy (very stock) 6 with a Drag Fast inline floor shift kit. He wasn''t allowed to race stock class at CMD because of it. He was put in D/gas against full race flathead gassers. He drew a bye for the first round. In the final, the gasser let him get a huge head start and then missed a shift, giving my friend the win and class trophy. He drove around for a month with the D/G window paint and trophy in the back window. Fun Days!!. Thanks for the info, Steve. I was really hoping to find some originals. If I strike out I will give him a call. I have a straight axle from a 57 Chevy 1/2 ton and 5 lug hubs and spindles from a 54 Chevy. I have yet to put this all together, but I am told it will work. I have two of the decals that I got from the track in 79, but I have had them on my Chevelle since before beginning this 57 210 sedan. I appreciate the input. Mike Perreault. I got the decal in a handout from Central in 77 or 78. Try contacting Mary Jo at Mid Mich to see if she might have some laying around. If not just save the picture and see if someone can make you a decal, my brother has a vinyl sign shop in Florence, Arizona he might be able to put something together for you. His # is 520-723-1441 ask for Terry. He also does custom auto painting if your looking for that. Are you gonna run a tube front axle? If you are let me know where you picked one up as I''d like to put one on my drag car as it would be the final touch on my classic gasser too. See Northern Mich pics for Lovers Rival. :). 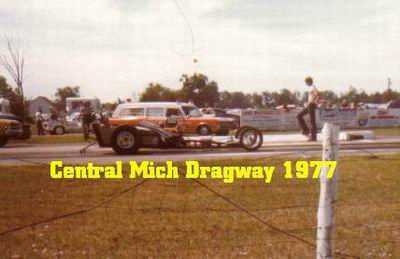 I now live in Phoenix, AZ, but I grew up in Michigan and I raced a few times at Central Michigan Dragway in 1979. I am currently building a nostalgia gasser 57 Chevy 210 sedan. I would very much like to find at least 2 of the decals with the red 57 Chevy Gasser on it. Anyone know where I could find a pair, or even a half dozen or so? Thanks for your help, Mike Perreault doctorcs67@cox. net. Congrats Jon I met you at Mid-Michigan during the Legends events. One was when Shirley Muldowney was inducted into the Michigan Motorsports Hall of Fame. Congradulations again for a job well done all these years Steve. Folks: I need some help. The first event I attended at the old place was in 1954 or 55, before it was paved, with pioneer hot rodding tech writer Roger Huntington. 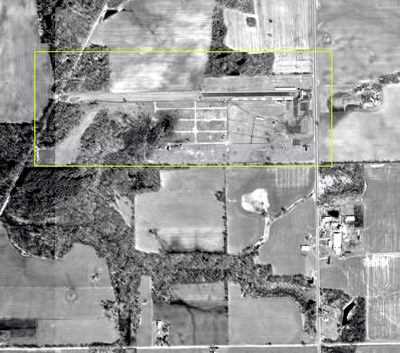 Does anyone out there have pre-paving photos of Central Michigan before it was paved? Or maybe the REAL OLD tower that was built on stilts? Reason for the need is that Don Garlits phoned to tell me yours truly will be a 2008 International Drag Racing Hall fo Fame inductee. Pretty good for a guy who cut his teeth as a drag race announcer at Central Michigan Dragway in the 50''s. Want to show those gathered for the ''08 Gators how many of us got started. Thanks, Jon W. Lundberg, Sr. , VODR (Ret). Steve, if you like night racing go to us. 131 when they have a night race it is great. 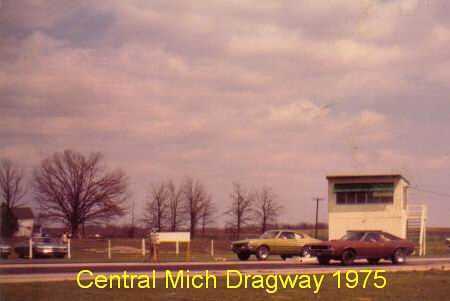 I used to race at Mid Michigan when it was called Central Michigan Dragway back in the 70''s and early 80''s with an econo FE dragster. It was a blast, especially during the big $10,000 payout races back then. I got some photos of the old days I''ll submit for posting. 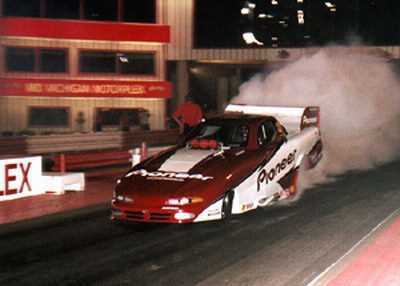 In the 90''s my brother-in-law and I would go to the Legends of Drag Racing events. We met Force, Glidden, Herbert, Garlits, Amato, Sox and other biggies. I''d have to say Glidden is the nicest guy you''d ever want to shake hands with! And Herbert was a cool guy to hang around and chat with. Sox was great as we reminised about the good ''ol days of A/FX cars. 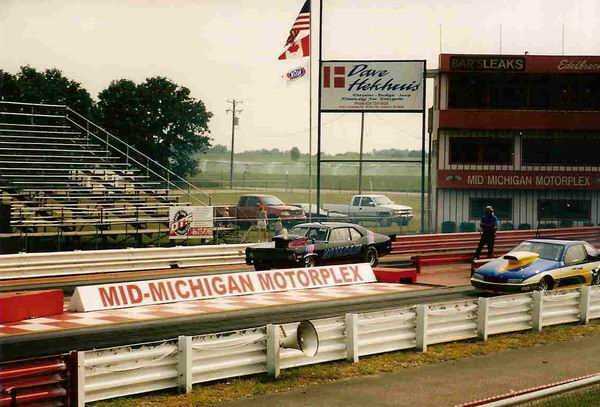 I think the Michigan Bracket finals died out because of the IHRA bracket championship and Northern Michigan Dragway just switched back to IHRA. I like quarter mile racing, but I raced 1/8 so long that when I ran 1/4 back in the 90''s for the TNN E.
T. race it was like, well I''m past the 1/8mi cone. hmm hmm, take a look around. look at the tach, and gauges. look at the competitor. look at my watch. 7 sec later it''s over. lol! I do like to race at night, it''s a whole different atmosphere, NMD just started night racing last year. I''ll have to get up there to see what''s going on. Gary, i agree with you i wish they would run all 1/8 mile. i hate 1/4 mi. It is too dangerous. 1/8 mi. is much safer and more fun. I am the new RENEGADE ALCOHOL and Fuel SUpplier -- Located 8 minutes from the Mid Michigan Motorplex and am stocking the following Renegade nitrous -- 118 -- cost $ 500 a drum Renegade Non - Nitrous - 118 -- Cost - $ 490. 00 a drum Renegade - 105 -- $ 290. 00 a drum Renegade 110 -- $ 300. 00 a drum Renegade 116 -- $ 420. 00 a drum Also Methonol 100% Renegade Pure -- MONSTER Methonol - $ 175. 00 a drum 99% Renegade Industrial -- $ 145. 00 a drum I will have only a $ 10. 00 drum deposit We also have Renegade Scents and Fuel jugs. Located in Edmore Michigan For you Dirt Tack Guys we have 110 - Standard 110 Octane = to SUNOCO and VP -- $ 300. 00 per drum 112- Late Model - $ 335. 00 a drum 114 -- Super Late Model - $ 365. 00 a drum Late Model Edge -- $ $450. 00 a drum Call Chad Jones - 989-427-5257 or 989-600-3131 or 989-831 -8877 RENEGADE NORTH. Rich your right i looked on their site and no Mich. bracket Finals. Can''t believe it. What no MICH. Bracket Finals this year,how come, Rich. RON, I wish they would run more 1/8 mi. events in the pro. bracket. I know a lot of racers that love it. And it is so much safer. I don''t think it will be a good year for any of the tracks. with everyone out of work,and gas $3 a gallon again this summer. we can''t afford to haul to many miles. We will have to stay close to home. Does anyone have photos from mid 60's at Central Michigan? Please email if you do. Thanks. J, Mabey if they would just run 1/8 mile that would solve the problem. it looks like that is what most of the tracks are going to anyhow. All the racers i have talked to that have run it for a while say they like 1/8 mile better,and it is a lot safer and not so hard on their cars. Ron. It looks like mid mich. just resurfaced the track from the1/8 mi. to the1/4 mi. what about the rough shut down. I was at the track 4-12-2005 watching some racers test. What a nice place and the staff was very friendly. Will definatley make a trip back this summer. The Mid Michigan Motorplex uses only Compulink state of the art timing systems. This high tech computer system will give the racers elapsed times at 5 different locations on a quarter mile pass. This system also controls new state of the art Daktronics scoreboards, making it possible for the fans in the stands to keep track of how their favorite driver is doing. The Motorplex also supplies the racers with Sunoco brand racing fuel in 110 and 112 octane as well as racing methanol. The Motorplex offers a family racing atmosphere as you will witness with the 5 Horsepower Junior Dragster program. Kids also have a place to go at the Motorplex playground.